The Foundation, with funding from the U.S. Department of Justice, developed and maintains the Averted School Violence database. The Averted School Violence project, encourages law enforcement, school, and mental health professionals to share information and lessons learned on averted and carried out incidents of school violence. The project focuses on analyzing incidents to identify lessons learned and promising practices that can be implemented to improve school safety and ultimately prevent future attacks. Our partners include: the National Association of School Resource Officers, the International Association of Campus Law Enforcement Administrators, Clearpath Alerts, Safe and Sound Schools, Bark, and other organizations committed to protecting our children. 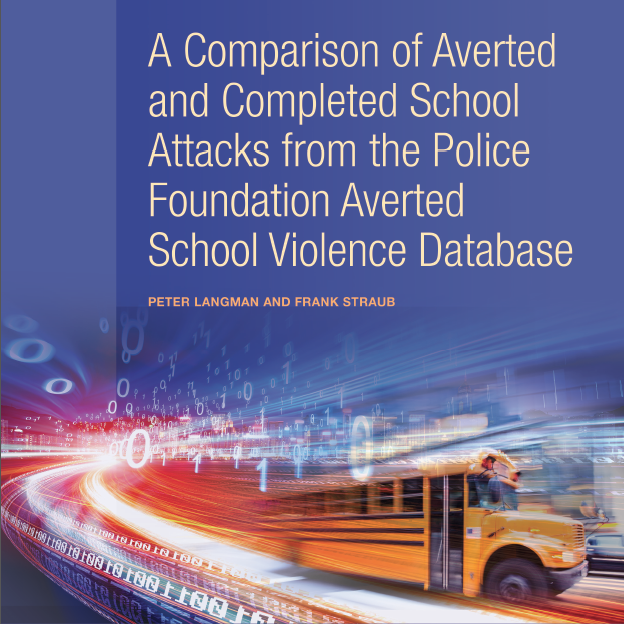 This paper presents initial findings from 51 averted school attacks in the Police Foundation’s ASV database, focusing first on case studies and followed by analyses of various data points.